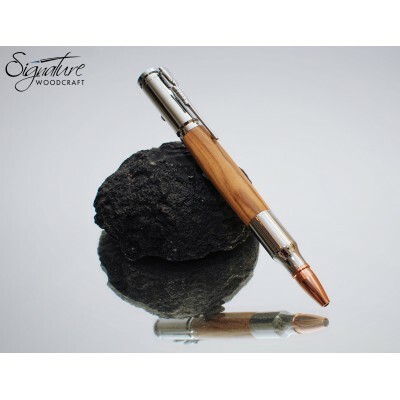 A very unique, gun themed handmade wooden pen, with an irresistible Bolt Action! A highly detailed pen, featuring a unique bolt action mechanism for the nib, precision engineered components, rifle shaped clip and a replica 30 calibre cartridge. This pen makes an ideal gift for anyone that is interested in hunting, outdoor activities, army, rifles etc. It would make a particularly special gift for someone that is graduating/passing out parade. 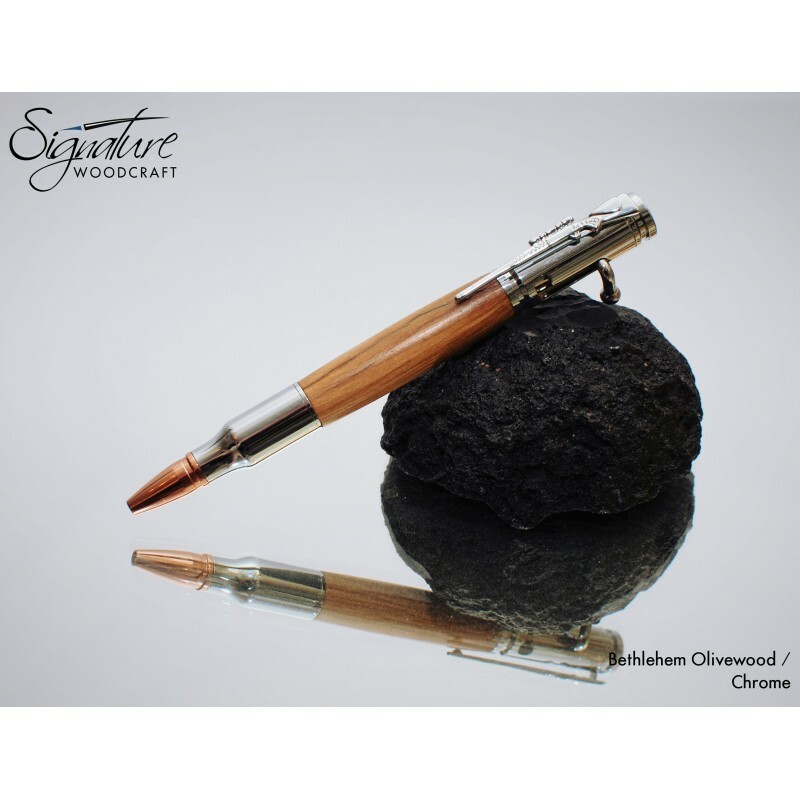 This pen is made from genuine Bethlehem Olivewood, and the pen you see in the first two pictures is the one you will receive.